Looking for the best price around? Then you’ve come to the right place with Vivid Promotions’ 5% Price Guarantee. 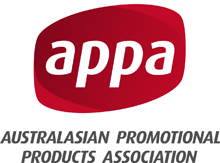 Should you find a lower advertised price on the same product from one of our Australian competitors, simply email us the written quote to review. We will do our very best to beat their pricing by 5% off the unit price! At Vivid Promotions, we endeavour to give our customers the best deals around so contact us today for fantastic pricing, premium promotional products, quick turnaround times and quality customer service. How does the Vivid Promotions Price Guarantee Work? Simply send the written quote from our Australian competitor to review. Please ensure the written quote includes all details such as the product name/ code, an image, quantity, branding and unit price so we can work out the best price available. Our member from our sales team will respond within 24-28 hours with our counter offer. Which Promotional Products and Services are Covered By This Guarantee? 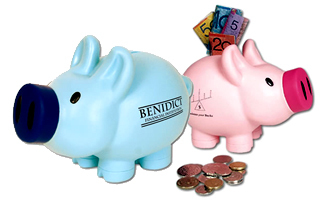 Vivid Promotions’ 5% Price Guarantee covers promotional products from Australian Competitors. This guarantee is limited to promotional products of the same kind, brand, manufacturer, quantity, decoration and lead time. Similar products may not be accepted as the quality can vary and it may in fact be a much cheaper version from an offshore source. There’s no need to shop elsewhere when Vivid Promotions’ offers the best deals around! With over 11,000 promotional products on offer, we’re sure to have the perfect promotional products for your next campaign! So please remember our 5% price guarantee when ordering promotional products and choose Vivid Promotions for all of your promotional needs. With a combined 30+ years in the promotional product industry, our knowledgeable sales team can help to inspire, brainstorm and make your promotional dreams a reality... and remember, our Vivid Imagination equals Vivid Results!